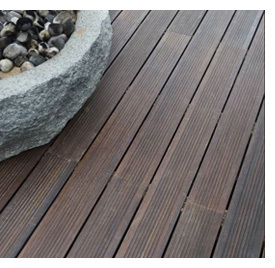 In dasso.XTR we take natural, fast-growing bamboo and, through a proprietary process, fuse it into dense, durable exterior bamboo decking and siding products with the appearance of beautiful tropical hardwood. Every strand of carbonized bamboo runs the full length of each board, yielding exceptional strength along with a consistent appearance. 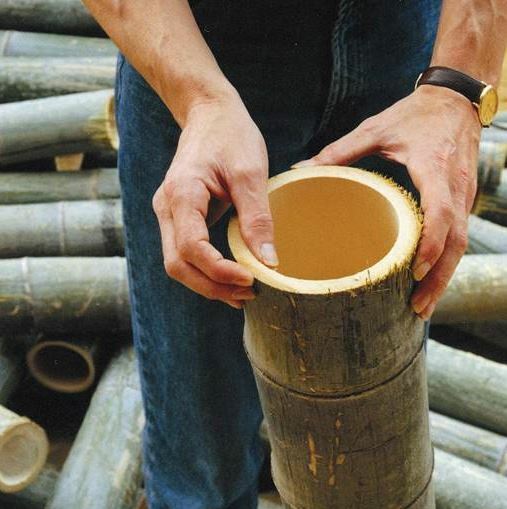 Many consumers already identify bamboo as a rapidly renewable, sustainable material. Bamboo has demonstrated undeniable appeal in areas from kitchenware to toys to interior flooring and surfaces as an environmentally friendly wood-alternative. dasso.XTR completes the picture by bringing bamboo to the home's exterior. BEAUTY. Homeowners love the appearance - it looks enough like tropical hardwoods to put plastic materials to shame, and just different enough to show that it's actually bamboo. Whether used in the RainClad® system for a striking exterior with clean lines, or as a deck (where you have the design option of utilizing the European-style reeded side), dasso.XTR is on-trend with lasting appeal. DURABILITY. Harder and denser than Ipe, dasso.XTR has been described as 87% bamboo and 13% bowling ball. Not only is it insect and rot-resistant, but it carries a Class A fire rating. SIMPLICITY. All boards are 6' long and, being end-matched, do not have to end on a joist or stud. This makes installation fast and easy, and minimizes material waste. 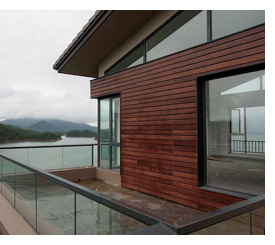 All dasso.XTR deck and siding we sell comes factory-coated with WOCA Exterior Wood Oil which adds luster and protects the wood against sunlight. You can let the surface weather to gray over time, or you can replenish the coat periodically with any tropical hardwood finish to preserve color and texture. You can also restore the material to its original color after it has grayed by sanding to reveal a fresh surface. 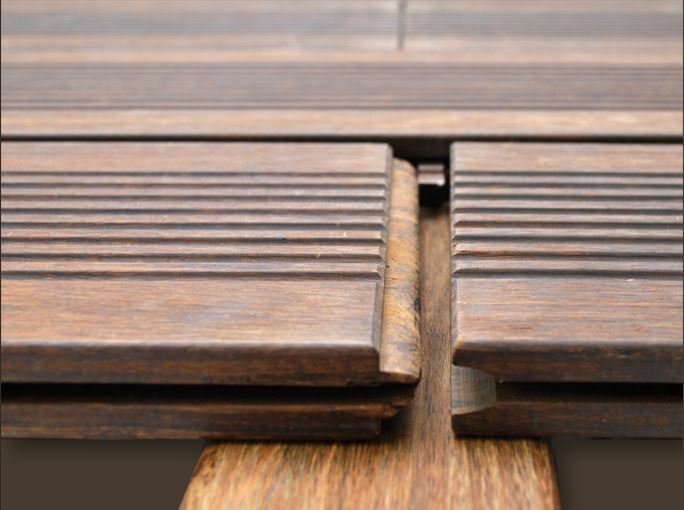 The 6' end-matched deck boards are grooved for hidden fasteners and can also accept the Pro Plug(R) system with matching bamboo plugs to hide the fasteners. There's no need for the board ends to end on a joist, eliminating waste and allowing for a more 'random' flooring-type pattern. The reversible smooth/reeded profile affords a range of design opportunities. Not only can you choose the side you prefer, but you can flip the boards for different elements, such as using the reeded side for horizontal skirting or for stair treads. The RainClad® profile offers an architectural appearance that is becoming popular, usually featuring durable exotic hardwoods such as Ipe. On the one hand it's a design element. On the other, it's a practical means of providing excellent water drainage as part of a highly durable cladding. A strong clip system fixes the siding firmly in place while providing gapping behind it; the profile is also designed to shed water down the front of the siding rather than pooling, which can increase the risk of mold and freeze-thaw cycle effects. Best of all, dasso.XTR proves to be less expensive than a similar Ipe-based siding system, while providing the superior stability of fused bamboo. Fall in love with bamboo!